#14 Meat Netting Meat Netting is elastic and is used to hold meats in shape for smoking or roasting. 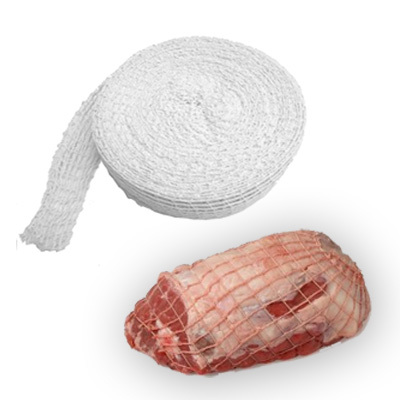 Each roll of netting is USDA approved and measures 150 ft. in length. Max temperature 350 degrees F.
Lay flat size - 2-1/2"
Choose the right size diameter from the following listing.